A Dutch organization called the Ambulance Wish Foundation is helping fulfill the last wishes of terminally ill and mobility-compromised patients. Powered by a staff of 200 medically trained volunteers, they bring patients to places they wish to visit or revisit before they die and would otherwise be unable to do so if not for the specially equipped ambulances of the Foundation. What’s more, their service is free of charge. Mario volunteered for over 25 years at the Rotterdam Zoo. He now suffers from terminal brain cancer and is mostly paralyzed. On March 19th, Ambulance Wish Foundation reunited him with the animals under his care for one last visit. 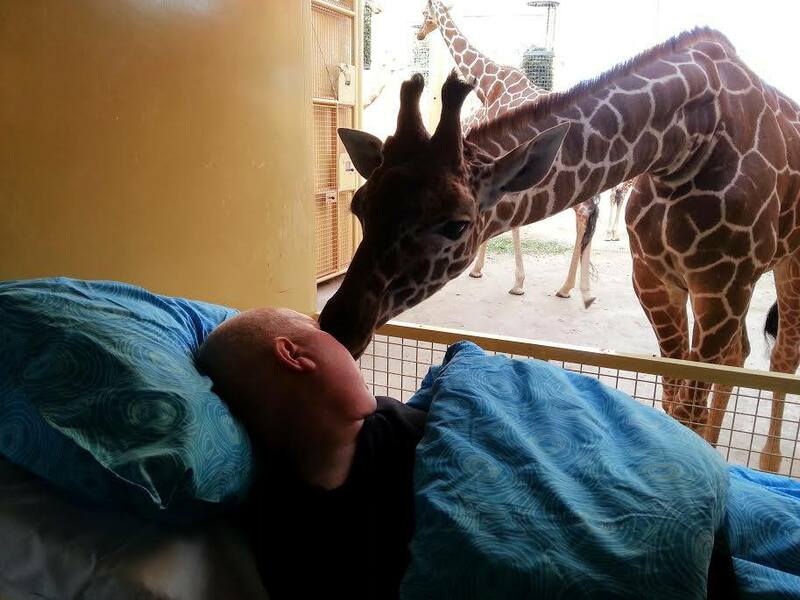 Many recognized their longtime caregiver and one Giraffe even gave him a “kiss”.